My Grandpa Louie was the best grandpa a kid could have. Mostly because he was just hilarious. I remember he would put on these skits for me that would have me doubling over in laughter. Grandpa Louie and I played a lot of gin rummy. He’d keep score under the headings “you” and “me.” It was great when I beat him because he’d curse with words that weren’t swear words. “Sacramento, California!” was his favorite expletive. 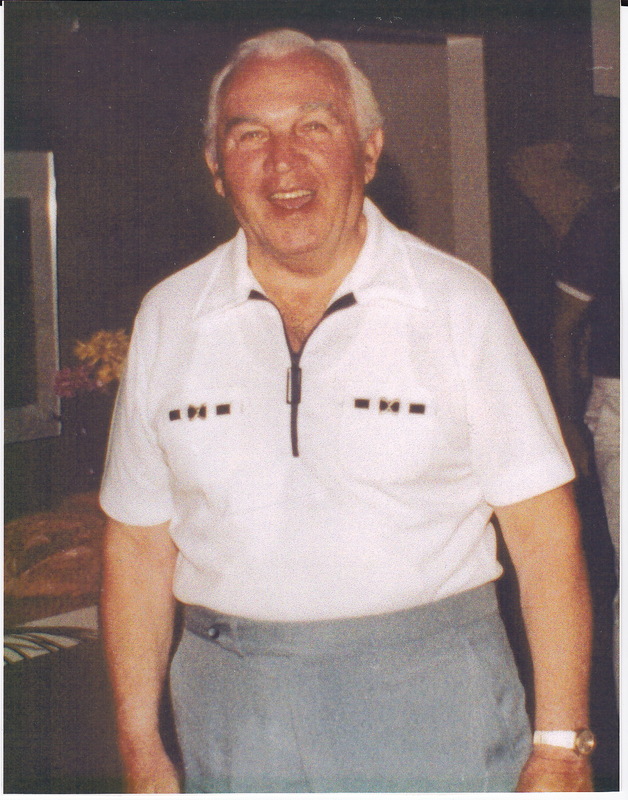 Grandpa Louie’s sister died a couple days before my bar mitzvah back in 1983, so he didn’t dance. You’re not supposed to dance during shiva. But he did chant the prayer over the bread and he talked on camera for the videographer for about 30 seconds or so. He talked along with my Grandma Lillian, who I loved very much. I also was very close with my Grandma Ann. I remember our little “discussions” together when we would talk about practically everything. Grandma Ann made the greatest noodle kugle ever. She is also on that bar mitzvah video. Talking for only about 8 seconds, she said, “He’s one-of-a-kind! That’s it!” (referring to me). There is also video of me dancing with her. My Uncle Eddie was my dad’s older brother and he was quite a character. Uncle Eddie talked on the video for about 30 seconds and he was hilarious. They are all gone now and I will always cherish the memories I have of each of them. The clips of them on that videotape are priceless to me. I am so thankful I have them to show to my children, but I wish the clips weren’t so brief. I would give anything now to have had any one of us sit them down in front of a video camera to talk about their lives for an hour. It would be like a personal video documentary that I could show my kids, who are named after them. They could have learned about their great grandparents and maybe even gotten to know them on some level. That would be the greatest treasure of all. We keep the memories of our loved ones alive when we pass down stories and reminisce. But as the years pass, our memories grow dim, generations pass, and these family histories erode. Our grandchildren deserve the awesome gift of knowing our grandparents and hearing about their lives straight from them, as they would tell it. Drawing from my own past with this mission Life Preservers was born. The time to get your parents and grandparents in front of a professional videographer is right now. Don’t put it off for another day. Let their stories be told in a quality, high class, and fun way! We’ll bring all the cameras, lighting and sound to your location to preserve a wonderful life story for generations to come. We will also use old family photos and even film or video footage to illustrate the story and weave a full narrative worthy of your family’s legacy. We take the time to consult ahead of time with the subject to prepare for the event and craft a framework for telling the story, and then the magic begins! Legacies. Now you can create one forever with Life Preservers by Frameable Faces Photography.